Celebrating the Year of the Horse and the ideal of good fortune, this stunning 1oz silver proof two-coin set is released to encourage wealth and wisdom. 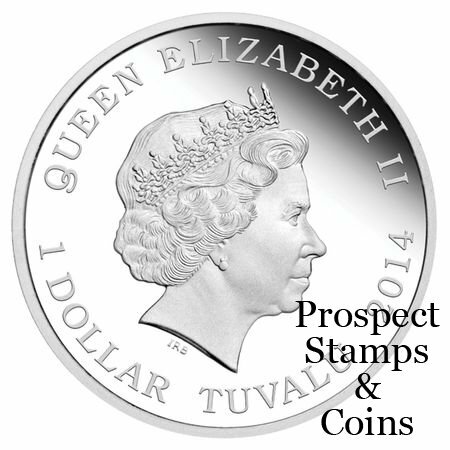 Each coin is a prestigious and exceptionally limited offering. Issued as legal tender under the authority of the Government of Tuvalu, both of these coins are struck from 99.9% pure silver in proof quality. In Chinese culture, people born in the Year of the Horse - 1918, 1930 1942, 1954, 1966, 1978, 1990, 2002 and 2014 - are regarded hardworking, sociable, optimistic and energetic. The Perth Mint will release no more than 1,500 of these 2014 Lunar Good Fortune Two-Coin Sets. 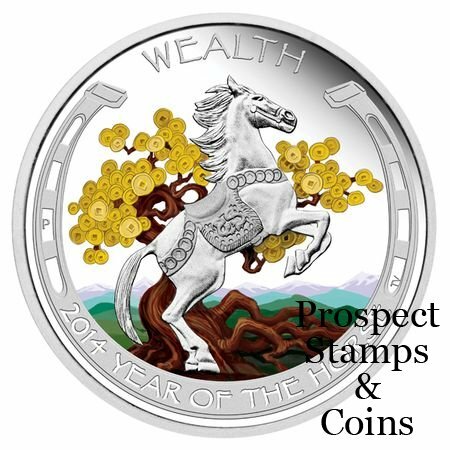 The wealth coin’s reverse depicts a horse wearing a ceremonial saddle, as it rears up on its hind legs against a money tree heavy with gold coins to signify a strong growing wealth. The design is encircled by a horse shoe symbolising luck. 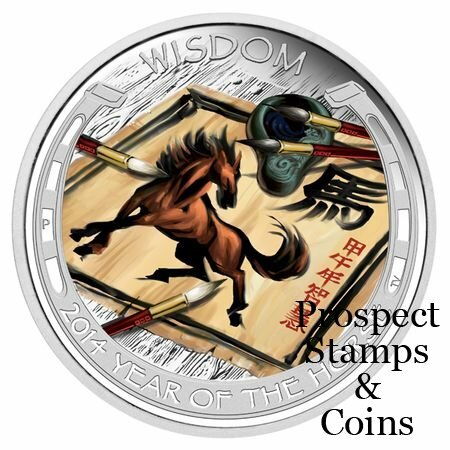 The wisdom coin’s reverse depicts a painting of a horse, with the Chinese symbol for ‘horse’ and characters describing the Year of the Horse, accompanied by a traditional ink stone and brushes, signifying patience and wisdom. This stunning two-coin set is housed in a classic Perth Mint grey display case with a colourful shipper and a numbered Certificate of Authenticity.